Vinyl is perfect for wet areas such as bathrooms and kitchens as it is waterproof, hardwearing and easy to maintain and clean. There are many options involving varying thickness, colours and effects, including: wood, tiles, marble, metal and stone, but for a fraction of the cost of the real thing. 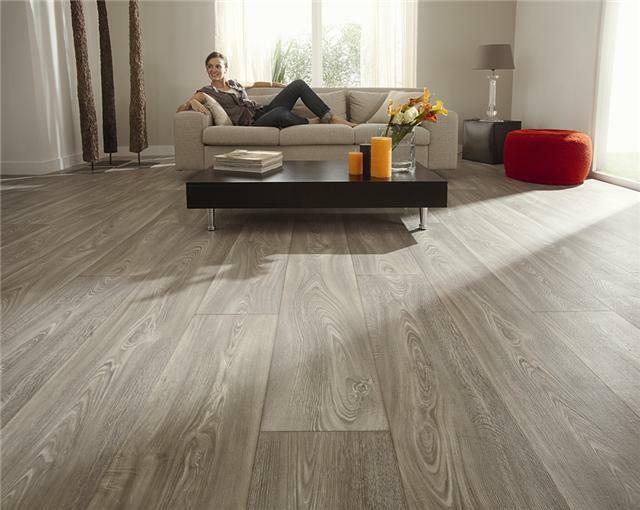 For extra comfort underfoot get a thick vinyl. Vinyl is available in tiles or sheets. These tiles have self adhesive backings which can be stuck straight down. For vinyl areas over 10sqm they should be fully stuck down, as this will increase the life of the vinyl and stop any bubbling and tearing.